Beckwith Engineering are museum cabinet manufacturers based in Essex. 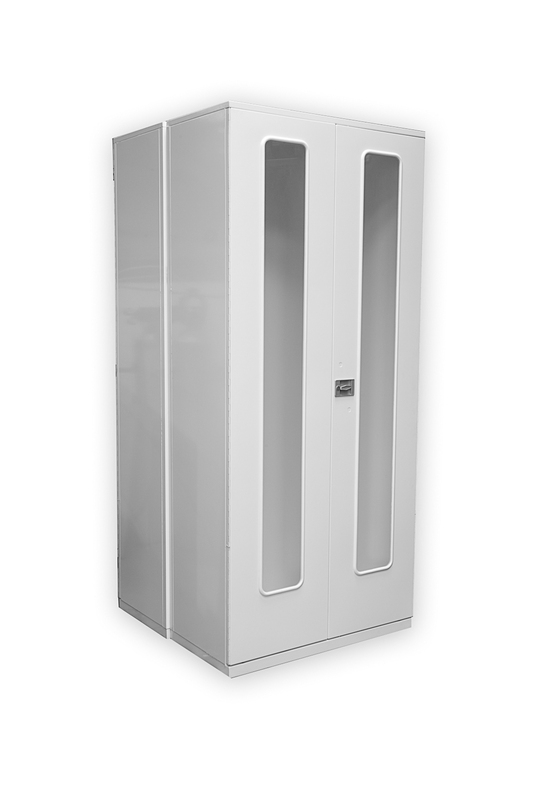 We supply these robust cabinets direct to museums and art galleries throughout the UK and Worldwide. The Beckwith Clearview has been specifically designed for secure storage and display purposes in museums to provide a protected view of each artifact or specimen securely contained within. Robust Museum Storage Cabinets. Constructed in high quality steel with durable polyster powder coating. Clearview. The cabinets are suitable for storage and display. Accessible. Full width shelves are pull-out type mounted on sliders for easy access. Easy installation. Each museum cabinet has pump truck lifting points, adjustable floor levellers and all shelf positions are also adjustable. Flexible design. Options are available including; range of powder coating colours, solid doors, half width shelving and center shelf option. Custom cabinet designs. Our expert design team can customise museum cabinets to suit your specific requirements.